It's no question that there's a gender imbalance in most industries. Food and hospitality are no different, with female representation trying to catch up to male presence as top chefs and restaurateurs -- who often make or permit their venues to be hostile work environments. But the rise of #MeToo and similar movements has shown change is in the air. And if you know where to look, it's been rising for some time. if you’re looking to see who is challenging these deeply ingrained realities, a quick search reveals a steady charge of woman enacting the differences they want to see. 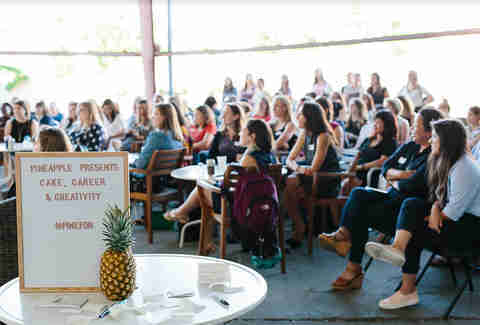 These leaders improve not only their areas of focus, whether working as chefs and sommeliers or executives, but the overall culture, by carving out safe spaces and opportunities for women and gender nonconforming people. For proof of concept, look to New York writer Julia Turshen, who puts her platform as a best-selling cookbook author to good use. Her Equity at the Table directory gives women and gender nonconforming people the chance to not only be seen, but connect with each other and others for future opportunities. An easily searchable database by career, location, and identification, EATT catalogues underrepresented individuals by their talents while giving the world a simple, easily accessible way to hire and report on minority voices in the world of food and beverage. The ball’s in your court, status quo. Believe it or not, things have been improving. If you think the food industry is under-representative now, imagine what it was like in the ’80s. With over 30 years working in the hospitality industry, Victoria Vega knows firsthand how powerful the need is for women to not only assume leadership roles, but mentor the next generation once they get there. And Vega would know. She’s the VP of food operations of Unidine, a boutique food and management company in Boston, where she uses her experience to guide women through the industry. “It is well-known that a diverse workforce is a more productive, idea-generating workforce that breeds successful organizations, and every company should be striving to achieve that in 2018,” says Vega. Her council aims “to help corporations understand how diversity creates valuable business opportunities and drives innovation. Vega’s work shows businesses a practical incentive to what’s morally obvious: an overdue moment is ultimately good for all. 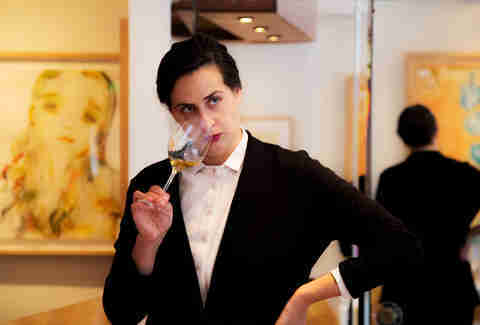 One person making opportunities is wine director Roni Ginach, who notes how many times people have made it clear they’d prefer wine recommendations from a male sommelier. Along with partner Jennifer Green Ginach cofounded Glou Glou, the hip, “word of mouth” ’zine about wine. It's done well enough that they're now gearing up to debut a wine distribution company called Super Glou. To that end, Super Glou actively seeks out women winemakers and producers to add to their roster. The quality of work can sell the product, but only if it has a venue to connect with customers. One of the most important community building conversations happening right now in San Francisco takes place over a meal. 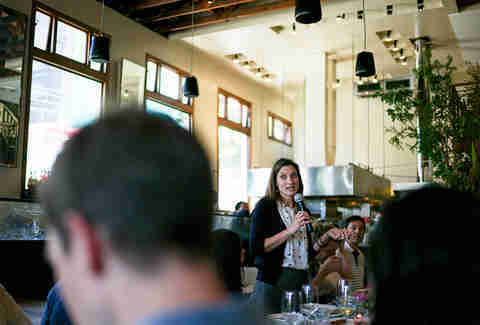 Restaurant manager Caitlin Dizinno’s The Civic Table Project hosts a bi-weekly discussion covering a wide range of issues facing the community, including wealth, class, access to power, and the environment. The program aims to invite a diverse collection of locals to Dizinno’s local-seasonal restaurant Nopa to break bread -- and break down barriers. That’s why The Civic Table encourages both the disenfranchised and community leaders to discuss actionable change for a wide array of issues, not just about topics revolving around a lack of diversity. And that’s a too-rare chance for people to lead not only as representatives of their minority group, but as citizens of the shared culture. “Hosting these conversations allows us to highlight important voices in our community who may not otherwise get to, but should, publicly lead,” she says. Leaders require a community. When Ariel Pasternak started her seasonal taco restaurant, Chaia in Washington, DC, it didn’t take her long to realize that most of the women in the food industry needed a better way to meet each other. 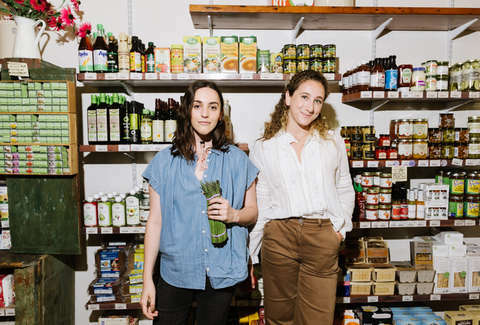 After meeting Atara Bernstein at a farmer’s market, they co-founded the pineapple collaborative to build a society around small, local dinners. It has since grown into bimonthly panels and events around the country. A similar sensibility drives chef Claudette Zepeda-Wilkins to give not only her contemporaries their due, but her forebears. With the opening of her restaurant El Jardin in San Diego this spring, Zepeda-Wilkins was able to pay homage to her roots, crafting regional Mexican fare honoring ancestral recipes passed down by matriarchs for generations. 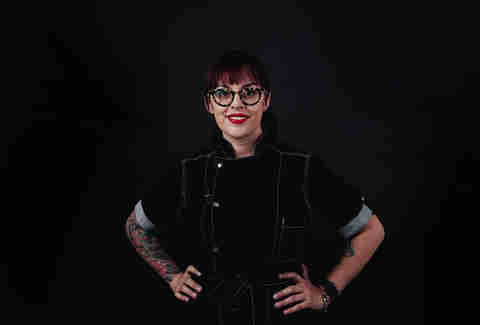 Inspired by growing up watching her aunt run restaurants in Guadalajara, the restaurateur makes a point of celebrating women at El Jardin; her team is inclusive of women in leadership positions, including a wine list with emphasis on female producers. She notes that she’s hiring for the quality of their work -- the kind of recognition that allows everyone to work in their own manner and remain true to themselves. And that’s an idea that everyone should toast.